World AIDS Day was first conceived in August 1987 by James W. Bunn and Thomas Netter, two public information officers for the Global Programme on AIDS at the World Health Organization in Geneva, Switzerland.Bunn and Netter took their idea to Dr. Jonathan Mann, Director of the Global Programme on AIDS (now known as UNAIDS). Dr. Mann liked the concept, approved it, and agreed with the recommendation that the first observance of World AIDS Day should be on 1 December 1988.Bunn, a former television broadcast journalist from San Francisco, had recommended the date of 1 December that believing it would maximize coverage of World AIDS Day by western news media, sufficiently long following the US elections but before the Christmas holidays. In its first two years, the theme of World AIDS Day focused on children and young people. While the choice of this theme was criticized at the time by some for ignoring the fact that people of all ages may become infected with HIV, the theme helped alleviate some of the stigma surrounding the disease and boost recognition of the problem as a family disease. 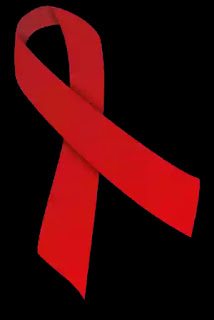 The red ribbon is the global symbol for solidarity with HIV-positive people and those living with AIDS. When the AIDS epidemic broke, because I happened to be a science nerd and knew a lot about viruses and a lot about that virus at the time, I felt a moral obligation to go out and try to stem the fear and get out and explain to people what the disease was and how it worked.